Fluence Analytics | realtime data. realtime optimization. Fluence Analytics is a manufacturer of industrial and laboratory monitoring solutions that produce continuous data streams. 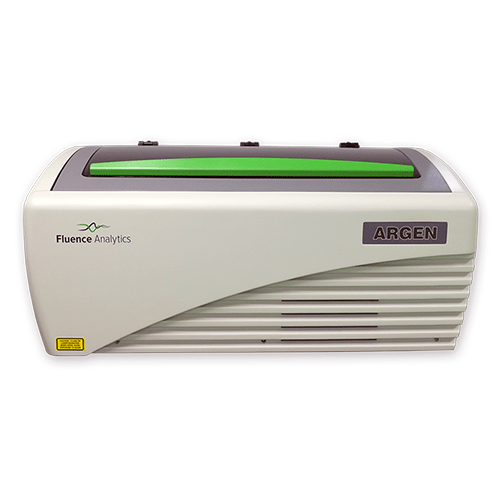 With two product lines and an international presence, Fluence Analytics offers ACOMP and ARGEN for the polymer and biopharmaceutical industries. Interested in working with us? Review these different options to find out more. 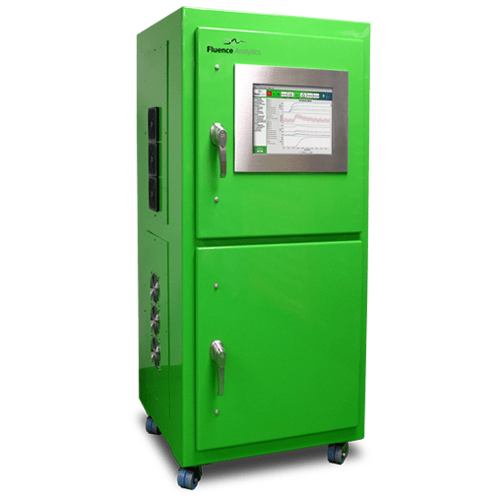 is an instrument that measures the stability of biopharmaceuticals and has 16 independent sample cells capable of precise control of thermal, mechanical and chemical stressors. Benefits include knowing the mechanism and rate of protein or peptide aggregation which leads to reduced formulation development times. 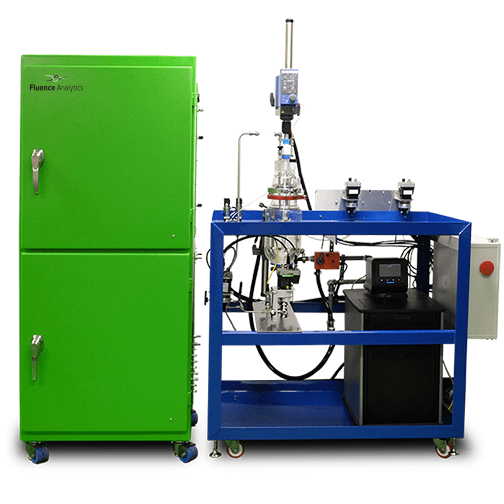 is an automated, smart manufacturing system that continuously analyzes polymers during production and generates realtime data about reaction kinetics and polymer properties. Benefits include improved process control, reduced cycle times, and increased polymer yield, quality and consistency. 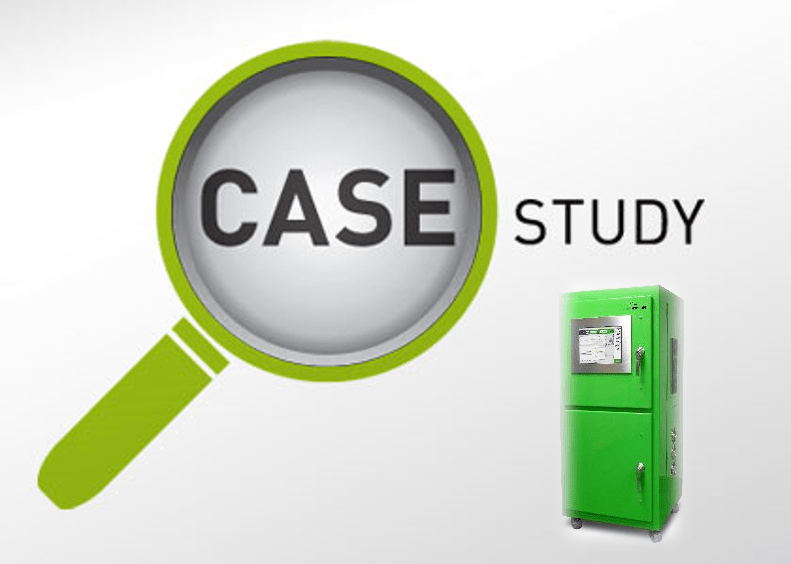 is an essential R&D product used to monitor the synthesis of new products or optimize existing processes at the bench and pilot plant scale. Benefits include accelerated product development, better product quality, improved reproducibility, and continuous product improvement. Interested in acquiring an ACOMP or ARGEN? Click below for a customized quote. Fluence Analytics offers a Proof of Performance option for companies interested in evaluating ACOMP or ARGEN performance on their own materials at their own facilities. Process Analytics Services (PAS) is a bundled offering from Fluence Analytics that includes hardware, software, services and support for an annual subscription. Fluence Analytics has an Applications Lab where we can evaluate the feasibility of our products on new customer applications. Get the latest news and information from Fluence Analytics.